Firstly a thank you goes to Car-Chem for the products provided. As spring was arriving I mentioned that I would be carrying out full decontaminations of several cars and with this in mind, Car-Chem sent out both their Revolt (fallout remover) and Tar/Glue remover for testing and review. 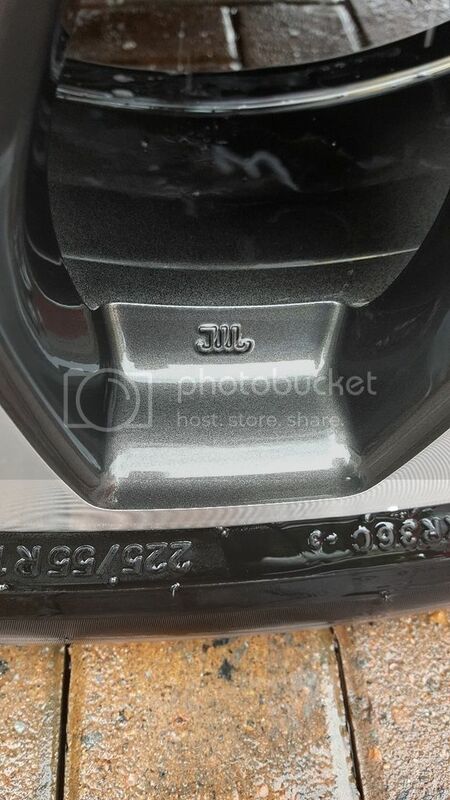 Most people will be well aware of Car-Chem, based in Nottingham, England. They are a huge chemical manufacturing company and have been sponsors on this forum for as long as I can remember. They are one of very few brands in the UK that make all their products in house with a fully qualified chemist producing and quality checking each and every product. 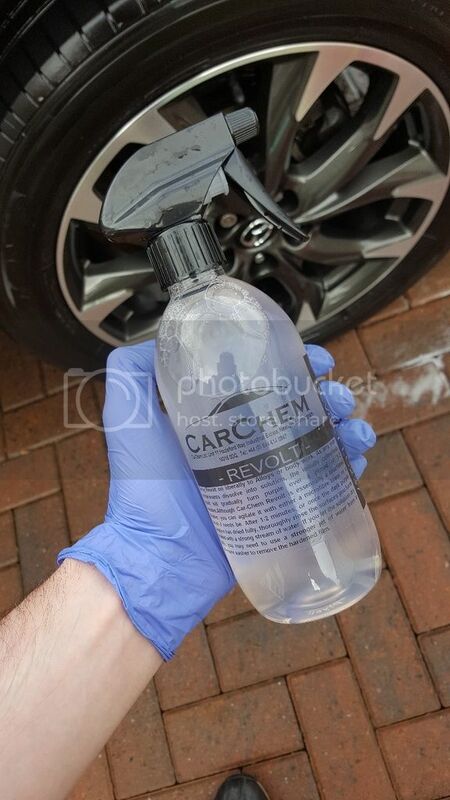 So following on from my review of Car-Chem’s effective Tar & Glue remover I will now be testing Car-Chem’s Revolt which is a fallout remover. Not much to say on the product itself as there is no fancy packaging here, much like the Tar & Glue bottle. A clear 500ml bottle with simplistic labelling houses a murky looking liquid that had an oil like viscosity to it. The adjustable spray nozzle provided was removed and the mandatory scent test was carried out. Some recent fallout removers to the market have done well to mask the typical fallout remover stench with fruit or sweet scents but that isn’t the case here. The name ‘Revolt’ is spot on as this stuff truly stinks. 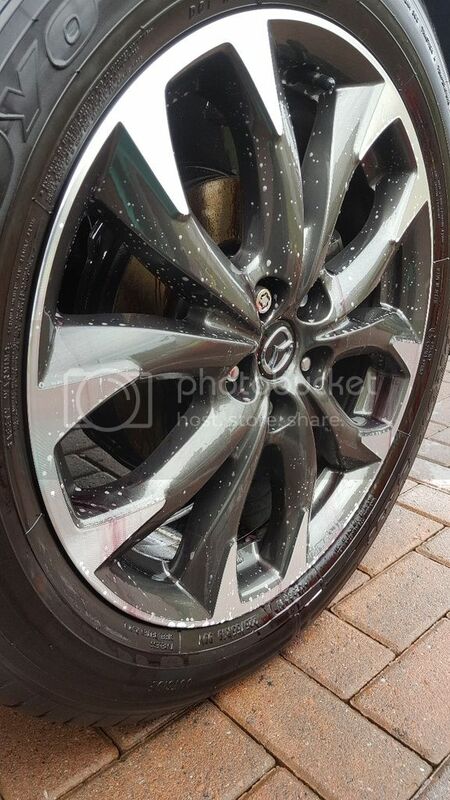 Like any other fallout remover you can use this to safely remove any imbedded contaminants on both the paintwork and alloy wheels. 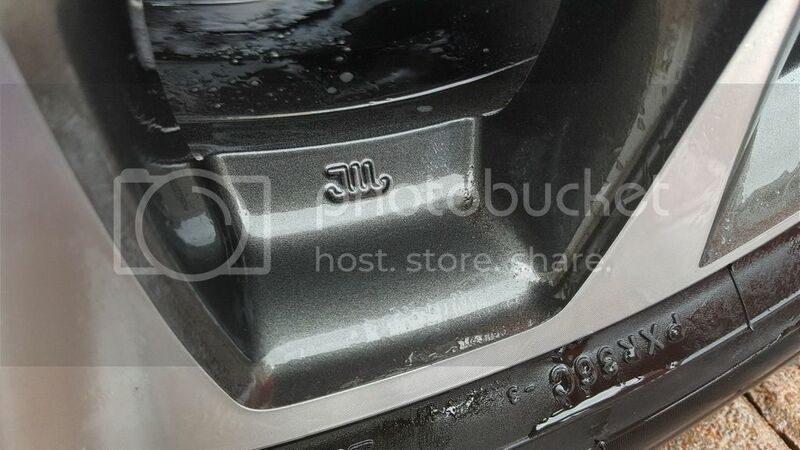 "Car-Chem Revolt comes pre-diluted to the correct strength for safe exterior use. In all cases, wash and rinse the surfaces you are going to treat in the normal way and allow to dry. Next, spray Revolt on liberally. As any iron contaminants dissolve into solution, the initially colourless liquid will gradually turn purple over a period of 1-2 minutes. Although Car-Chem Revolt is essentially a touchless cleaner, you can agitate it with either a microfibre towel or a brush if needs be. 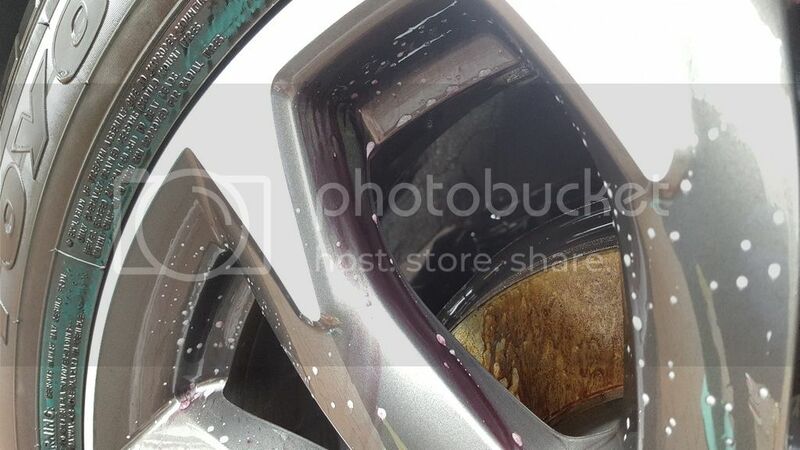 After 1-2 minutes, or once the dark purple solution has dried fully, thoroughly rinse the surfaces you have treated with a strong stream of water. If you let the solution dry fully, you may need to use a stronger jet of water from a pressure washer to remove the hardened film. There are no surprises in the instructions as Revolt performs like any other Fallout Remover. 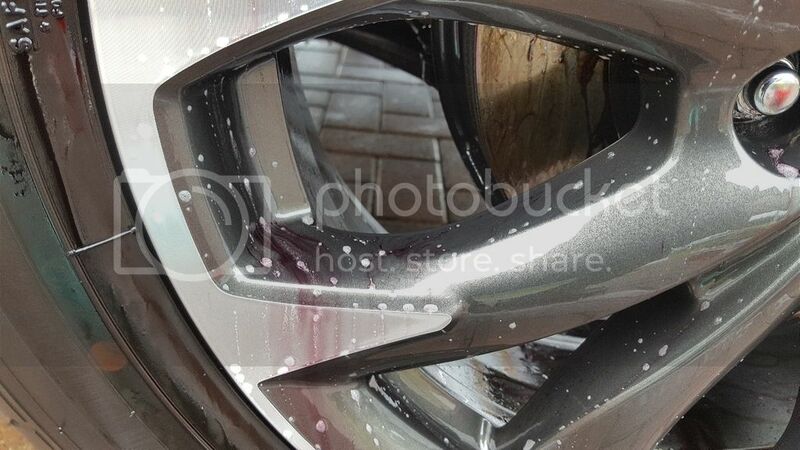 Wash the wheels/panel prior to application of the fallout remover using a gentle cleaner. Dry the area to be treated, shake up the bottle then apply Revolt liberally to the wheels/panel and allow it to dwell for a few minutes until the bleeding effect has fully occurred. You can also agitate the fallout remover to further increase the effectiveness of the product. With summer now approaching the weather is finally playing ball after a very wet winter up here in Glasgow. I had my sisters CX-5 for the day and this was in serious need of some TLC as I hadn't touched it myself since well before Christmas. 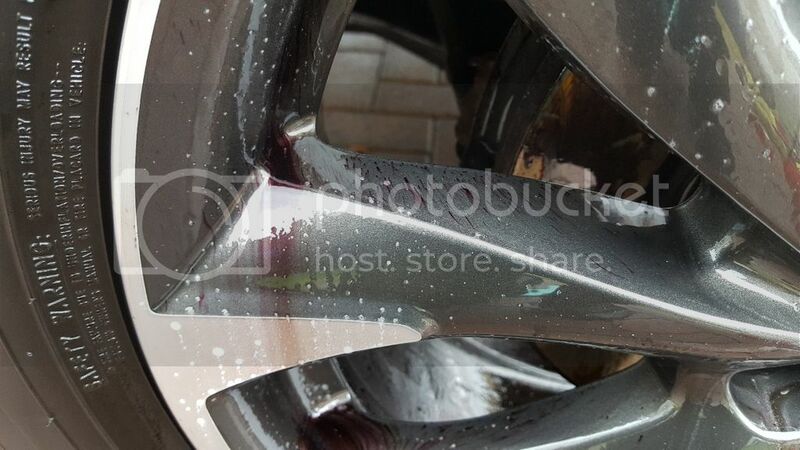 The best way to test the effectiveness of a fallout remover is to use it for removing burned on iron particles on the alloy wheels and this would be the basis of my review. 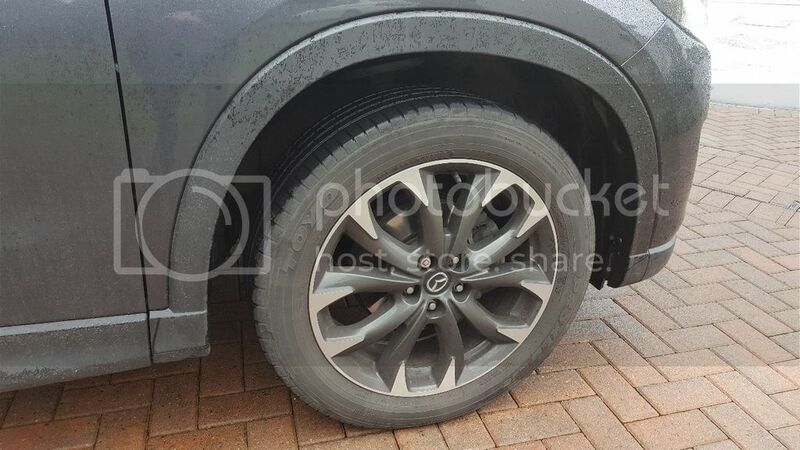 As you can see from the below photo, the wheels were filthy. 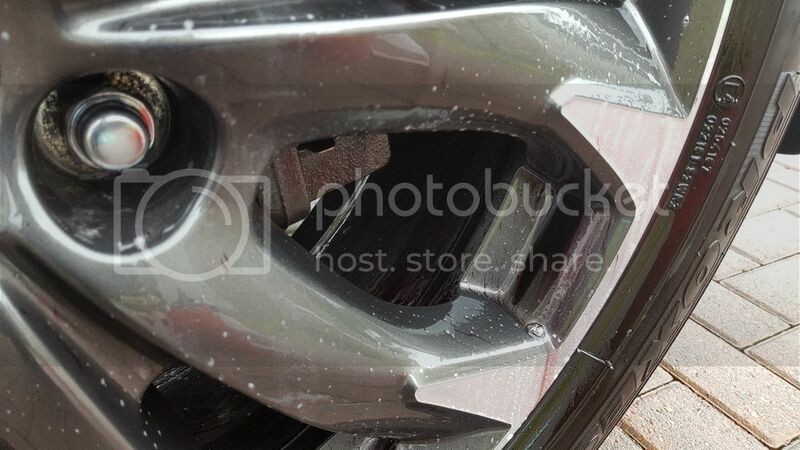 The layer of brake dust and road grime was removed from the wheel previously and de-tarred during the Tar and Glue review so the wheel was ready for the fallout remover application. 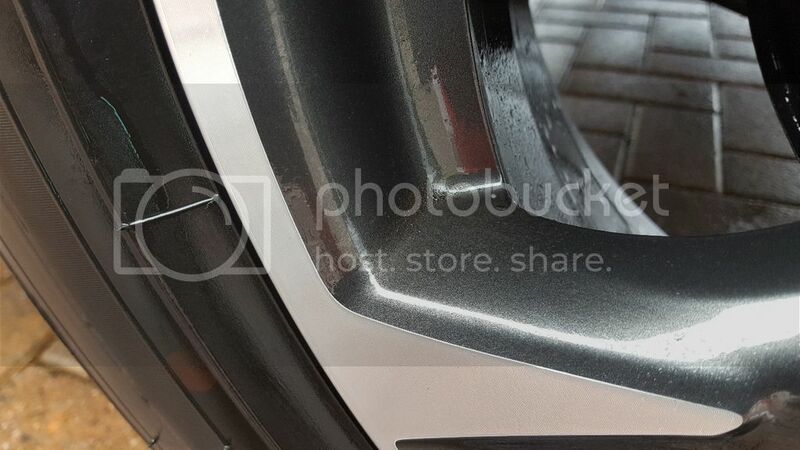 The remaining black spots seen in the photo's below could only be fallout, giving you an indicator of what this looks like and when fallout remover is required. The wheel was given a quick wipe over with a drying towel. 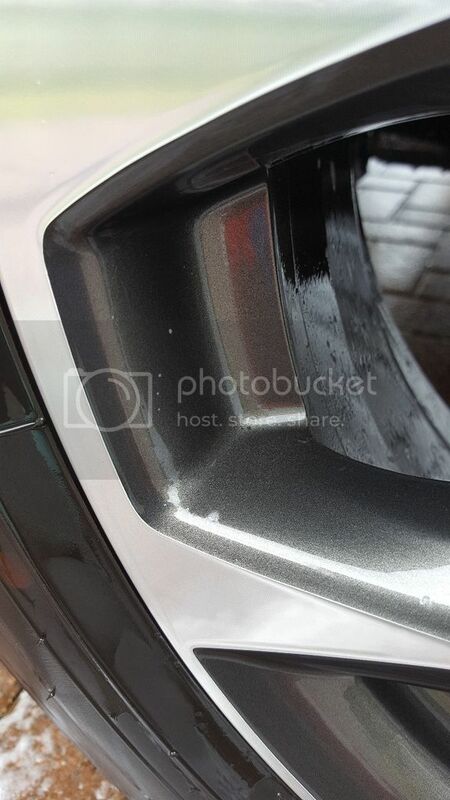 Much like Tar and Glue review, this step is essential as it allows the fallout remover to perform more effectively as it isn't being diluted by any surface water. Revolt was applied liberally to the full wheel, including the barrels and allowed to dwell for the advised 2 minutes. I noted that the spray pattern could be improved a little as it didn’t quite mist as well as other brand spray bottles. It is worth pointing out I do have the same sprayer on my Car-Chem air freshener and it achieves a much finer mist during use. 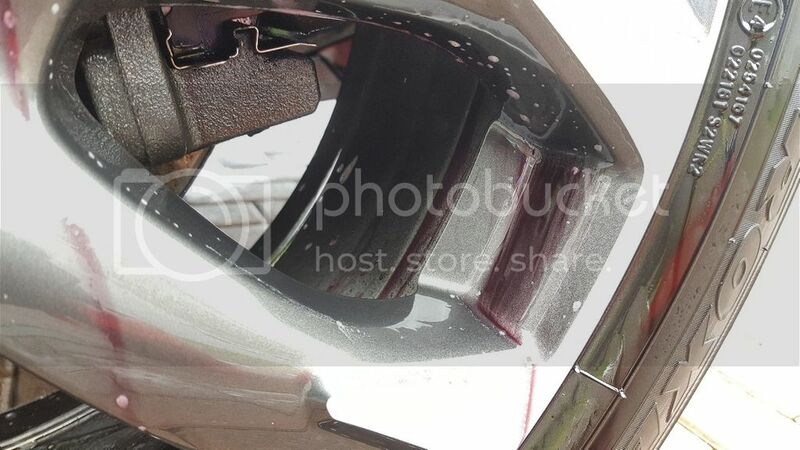 This could suggest the issue being with the viscosity of Revolt but it could also be due to the spray head supplied. I cannot say for definite as I didn't try this in another sprayer but it isn't a massive issue. The reaction was occurring as quick as 10-15 seconds after application showing it’s certainly potent and after the full 2 minutes the amount of purple bleeding surprised even me. 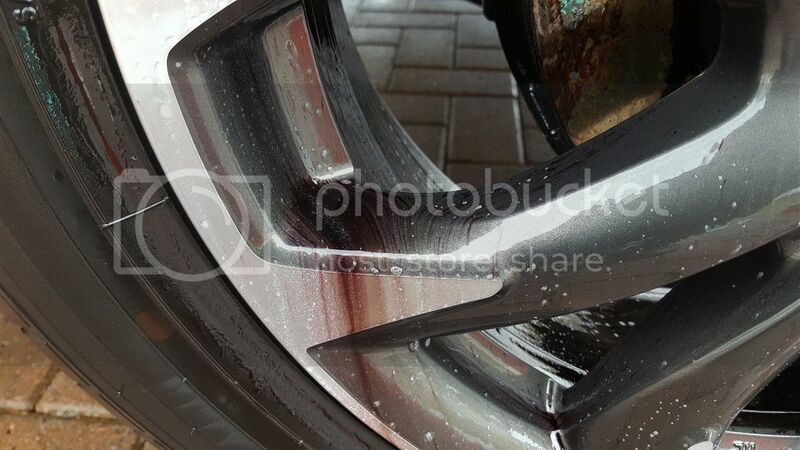 The wheel was then agitated with my selection of brushes and rinsed. 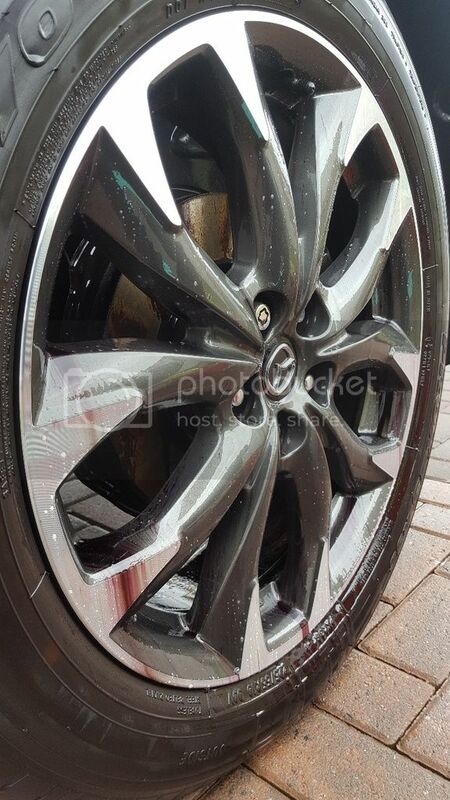 This removed a significant amount of the baked on brake dust but in the corners of the spokes there were still some stubborn black spots that hadn't shifted fully. A second application was applied in the same fashion as the first. There was quite a bit of fallout remaining on the wheels still which you can see from the amount of bleeding occurring on the second hit. Even with the second hit and agitation I found there was still a little of the stubborn stuff refusing to completely dissolve. 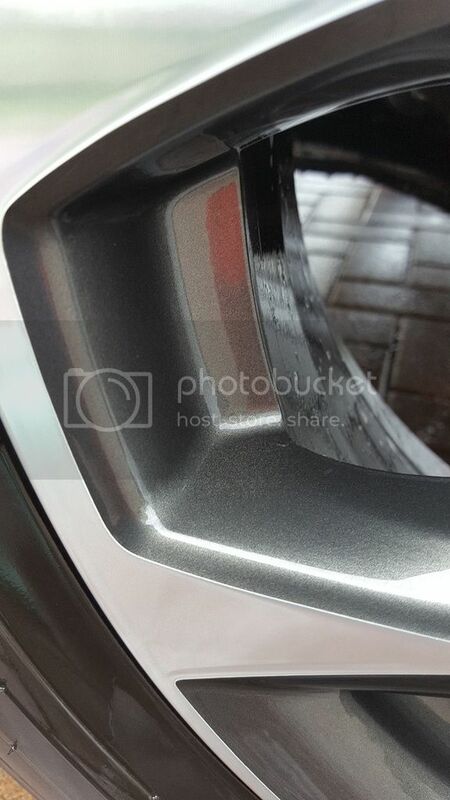 A further 3rd application was required to completely rid the alloy of contaminants and leave it spotless. Given the amount of crud built up on the corners of the wheel I would say 3 hits is pretty good going. For me personally, I don't think I would. Firstly yes it is effective but the smell was a major issue for me. My usual choices when it comes to fallout removers, especially at this price point do not smell anywhere near as bad as this but as far as I can tell every bit as effective. I used Revolt on a day with a slight breeze and for the rest of the day I stank due to it being blown on me. I could smell it strongly on my clothes, arms and even facial/head hair for the rest of the day. Revolt is certainly a capable fallout remover, it performs on par with just about every fallout remover I have tried thus far. It is fast acting and dealt with the build-up of iron particles fairly easily. The issue for me is the competition on the market these days. Revolt looks and smells like a Fallout remover from an older era. These days’ companies have developed ways to mask that horrible sulphuric stench without any drop off in performance. I also think the pricing of Fallout removers in today’s market has dropped on average, making Revolts pricing a little on the high side for me personally, even in 5L guise now. Revolt has been a difficult review for me to write, it certainly does the job and to a high standard but I am not so sure it would be one I recommend to friends/family for the reasons mentioned above. If you’re in the market for fallout remover that does the job and don’t really care about how it smells, you won't have any complaints using Revolt for decontaminating your vehicles. To conclude both reviews Both Tar & Glue and Revolt done exactly as you would expect, leaving the wheel absolutely spotless. 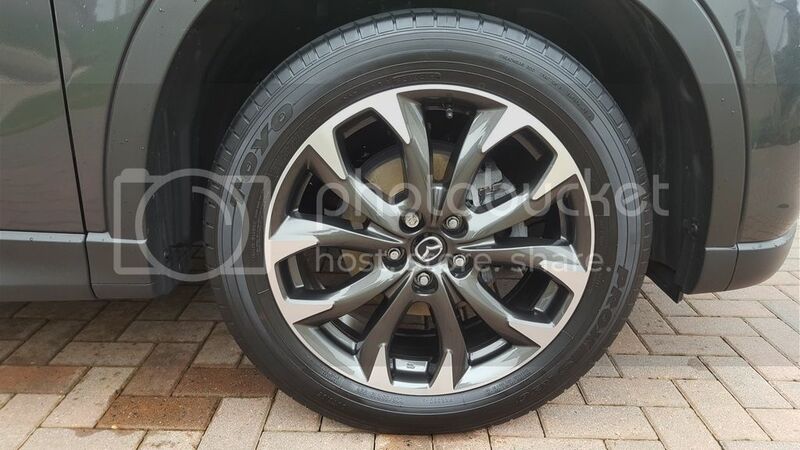 The finished results on my sister’s alloys looked fantastic once the tyres were dressed with Car-Chem’s Tyre Gel and protected with a layer of wheel sealant. Last edited by Brian1612; 04-05-2017 at 02:35 PM.